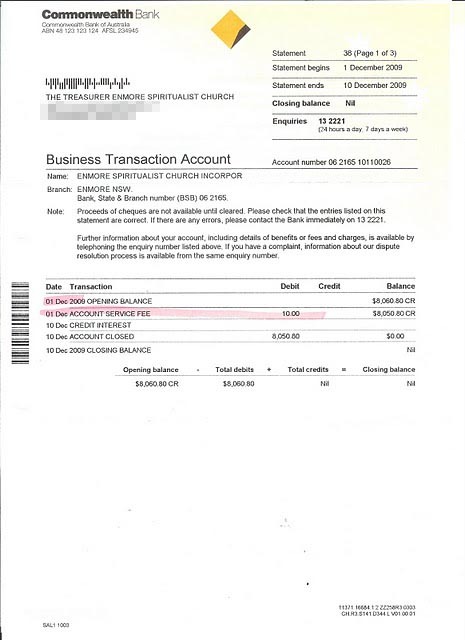 On the 10th December 2009, Patricia Cleary cleaned out the church's bank account of its contents of $8050.80 and had it subsequently closed. Despite being asked in writing where this money is, no answer has been given to date. Again, click on the image to enlarge.